My nephew is obsessed with Minecraft. He can spend hours upon hours on his iPad and play. So after seeing how engrossed he had been in this game I decided to take an interest. I wanted to know exactly what he was playing. Plus, Peyton wanted to start playing too, so I needed to see if it was appropriate. My nephew gave me a little crash corse in Minecraft. What’s so cool? You get to build your own virtual world! You take these blocks and build things. You can build a castle, a home, a barn, pretty much if you can imagine it you can build it. You also get to travel to other worlds and have adventures. So, you never master the game, it’s always changing and keeps evolving. So far so good. There are two different modes – creative and survival. My nephew was playing in creative mode. That means he’s building anything he can imagine. In survival mode, it’s pretty much what it sounds like. You are creating weapons and armor to fight off dangerous mobs. And you can play with a group! My nephew was playing with a few of his friends from school. After getting to know a little more about Minecraft I can see it is a family friendly game. I didn’t see anything in the graphics that were alarming and I really liked how it let the kids be creative. The only thing I feel you need to watch is who your child is connecting with online. But that’s easy. The players have to connect so you can see at any point in time who your child is connected and playing with. 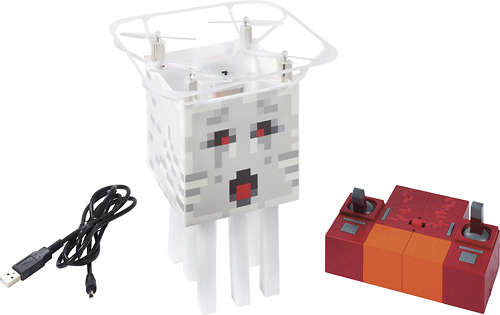 Beyond the online game, there’s also Minecraft toys! Best Buy has a large assortment of Minecraft toys and collectibles. And since it is the Holidays I have been looking for a something to get my nephew. A trip to Best Buy to pick up some Minecraft items is sure to be a hit. 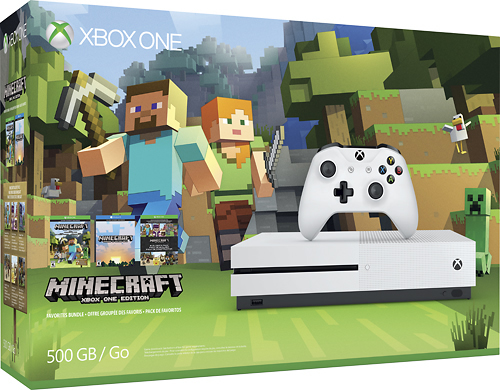 I’ll be able to look over a large assortment of items including an Xbox One S console bundle! 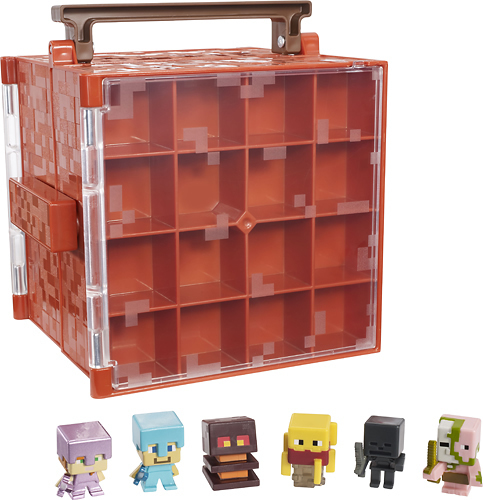 Check out the wide assortment of Minecraft items at Best Buy online and then head to the store and pick them up.